C8 Vintage MK2 for my night shift tonight. BoB today, with a fetching new Oak leather CW strap from the ‘January’ sale. I actually think the rubber strap suits them more than the bracelet does. I wore mine on the rubber strap for the last few weeks before I bumped mine into a door frame and it killed it. Not very tough for a "sports watch" but lesson learned! Nice watch but way too fragile. When you say you "killed" it, what kind of damage did you do to it? Apparently the impact broke a screw inside the watch, which is ridiculous because there were no marks on my wrist. The watch stopped completely and has not run ever since. I was almost late for work that day, because I took my time eating my breakfast as I thought it was much earlier than it actually was. They want £30 to repair it which, although it's nothing compared to the cost of the watch, I am reluctant to pay it. In my opinion, it's a sports watch and it should be more resilient. It's been in for repair since mid December 2018 and I really don't want it back to be honest. I couldn't bring myself to sell it on because it could happen to the next owner. I do like CW's watches but, this will be my first and last CW watch. Apparently the impact broke a screw inside the watch, which is ridiculous because there were no marks on my wrist. They want £30 to repair it which, although it's nothing compared to the cost of the watch, I am reluctant to pay it. In my opinion, it's a sports watch and it should be more resilient. It's been in for repair since mid December 2018 and I really don't want it back to be honest. I couldn't bring myself to sell it on because it could happen to the next owner. If you smacked it into a door frame and CW only want £30 to fix it then I think that is a decent outcome. If you have the Trident Chrono auto, that's an expensive watch. Is it not cutting off your nose to spite your face not to get it fixed? 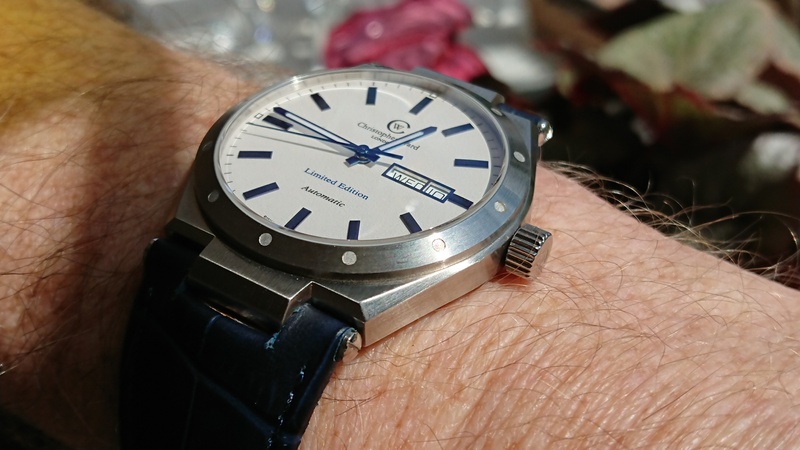 I suspect plenty of watches might not survive a similar bangs, the build quality and internals of CW I'm sure stand comparison with competitors e.g. movements are not unique to CW. Hi all, my second post in this forum (after the introduction). 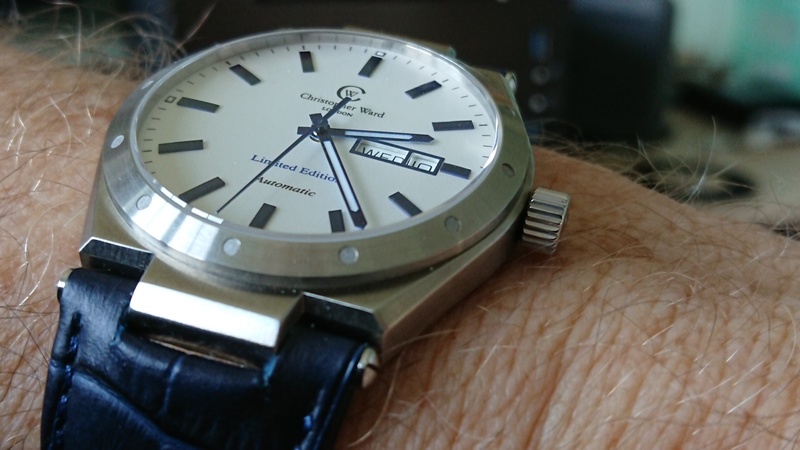 My C60 Trident Pro 600 38mm, that I bought a few weeks ago at CW showroom directly from Mr. Christopher Ward (thank you Chris for your kindness, professionalism and customer care!). The International Organization for Standardization issued a standard for shock-resistant watches, which many countries have adopted. ISO 1413 Horology—Shock-resistant watches specifies the minimum requirements and describes the corresponding method of test. It is intended to allow homologation tests rather than the individual control of all watches of a production batch. It is based on the simulation of the shock received by a watch on falling accidentally from a height of 1 m on to a horizontal hardwood surface. I understand your frustration but as the ISO standard you have copied across it does state that it allows tests on certain numbers of watches and not all watches produced in the batch. It could be that your watch might have had a flaw in the production of the screw (which broke). In my opinion, for what it's worth, maybe pay for the repair as it is only £30 then if it happens again then possibly cut your losses. Bit of a rarity I believe, hot foot from the Sales Corner. It may only be 40mm, but somehow feels larger. 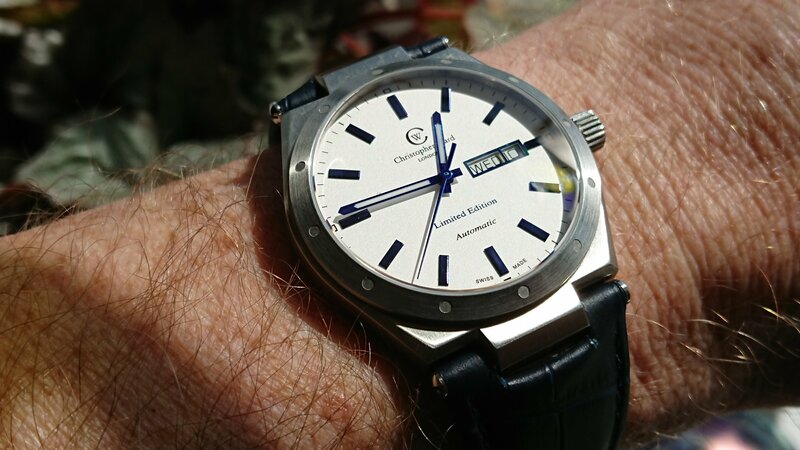 I can remember when the 2009 C2 FLE was one of the most sought after watches that CW produced. Now that is near perfect. A fantastic addition to your already great collection mate. C600 Tri-Tech Elite for my last night shift of the week. On a Torro Bravo strap that used to be on my Bluebird. Sadly the chrome Bader clasp stands out too much against the Black IPK case.